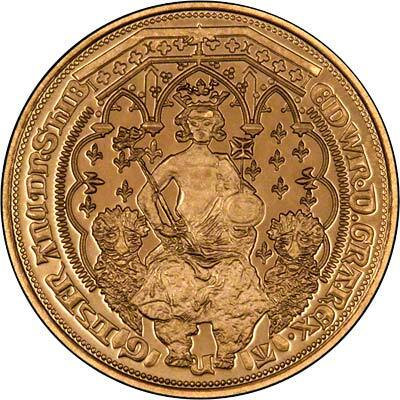 Here, then, are 10 of the most valuable coins in the world. If you find one, it's almost certainly a fake…but, you never know! A very rare, privately minted American coin, the Brasher Doubloon was issued on and after 1787. Named after Ephraim Brasher, the talented goldsmith who created the coin, it was the first gold coin made for the United States. Small, bearing an eagle and the words E Pluribus Unum, it's very rare and very valuable. In January of 2005, a Brasher Double EB Wing sold for $2,415,000. Other variations have sold for around $700,000, to over $7.4 million! 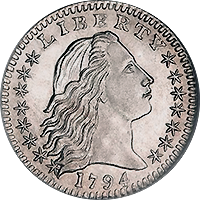 Minted between 1794 and 1795, the flowing hair dollar was the very first dollar coin issued by the United States Federal Government. On one side, lady Liberty is pictured, her hair flowing like the description. On the rear, an eagle and the words United States of America. Just last year in January, a 1794 coin was sold for $10,016,875. It's a mistake to think that all of the most valuable coins are hundreds of years old. 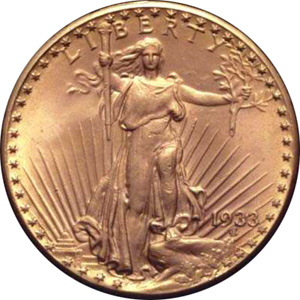 The Saint-Gaudens double eagle was minted just 81 years ago, and yet it remains one of the most prized coins for any wealthy collector. Only 445,500 of these coins were made, but never issued, and most were melted down after the discontinuation of the gold standard. That makes these coins extremely rare, and thus, highly desirable. Featuring lady Liberty and 1933 on one side, and an eagle with the words "United States of America Twenty Dollars — In God We Trust" on the reverse, this coin is worth a fortune. 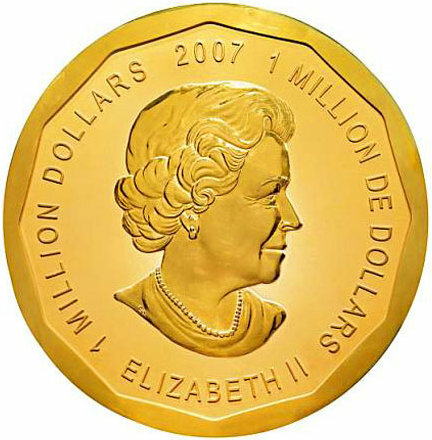 In 2002, one such coin sold for $7,590,020. Not bad for $20. Also known as the Bowed Liberty Dollar, this is another extremely rare coin. In fact, only 15 are known to exist, ranging from Class I to Class III, and all have been accounted for. So if you ever see one of these 1804 Silver Dollars on your travels, be warned…it's fake. 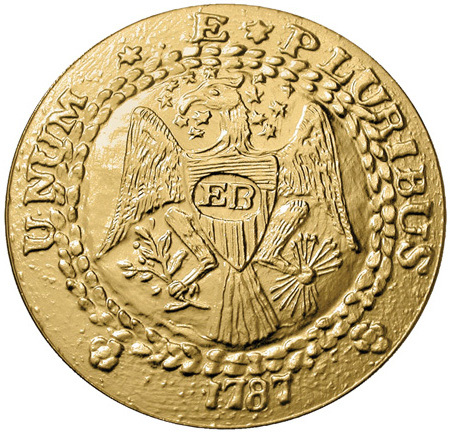 On one side is a Liberty head and 1804, on the reverse an eagle, shield, and "United States of America — E Pluribus Unum." 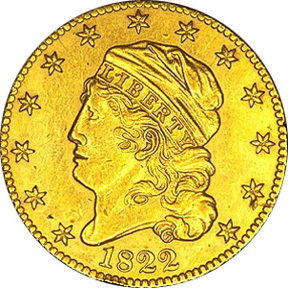 On August 20, 2013, one of these coins sold for $3,877,500 at auction. The first English coin on the list is yet another exceptionally rare find. And it's old, medieval in fact, dating back to 1344. Only three of these coins are known to exist, and their original face value was just six shillings (72 pence). But despite their age and scarcity, they are not in the same league as the American coins mentioned previously. In June of 2006, one of these coins sold for £460,000 (over $1 million today), breaking all previous records for a British coin. This is the Holy Grail of coins, and yet it's just a little nickel. It was the very first coin to fetch over $1 million at auction, and it is rumored that a Liberty Head nickel in perfect condition could fetch over $20,000,000 at auction. However, only five are known to exist in the world, two in museums and three in private collections. That does not mean there isn't a perfect coin out there, somewhere. Get your metal detectors out. If you find a coin that looks like this, take a deep breath and guard it well. Only three of these 1822 $5 coins are known to exist in the world, from an original production number of almost 18,000. No doubt the gold was melted down and sold off in other forms. Two of the three coins are housed within the Smithsonian, and the third was last sold at auction for $687,500 way back in 1982. If that coin were to reappear on the auction market today, it could fetch upwards of $5 million. Less than 10 years old? Why is it in the top 10 list? Well, this is not a coin you could accidentally lose down the side of the sofa or through a hole in your pocket. This is 100kg (220lbs) of 99999 pure gold bullion in one coin, giving it a face value in 2007 of a cool $1 million. You could purchase one of these from the Royal Canadian Mint, and five people actually had one made. In 2010, just three years later, one of these monstrous coins sold for over $4 million at auction. One of Australia's very first coins, the rare "Holey Dollar" was created from a Spanish silver dollar in a process that made two coins from one. The larger coin with the hole in it had a value of five shillings, and the smaller coin punched out of the dollar was worth fifteen pence. 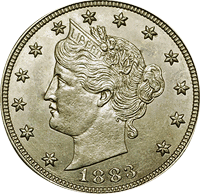 They were withdrawn from circulation in 1826, and most were melted down and sold off as bullion silver. Butsome survived and are making it to auction. In 2013, a Holey Dollar sold for $495,000 at auction. If you should ever find one on your travels in Australia, hold on to it tight. The date should be a clue to the value of this coin. 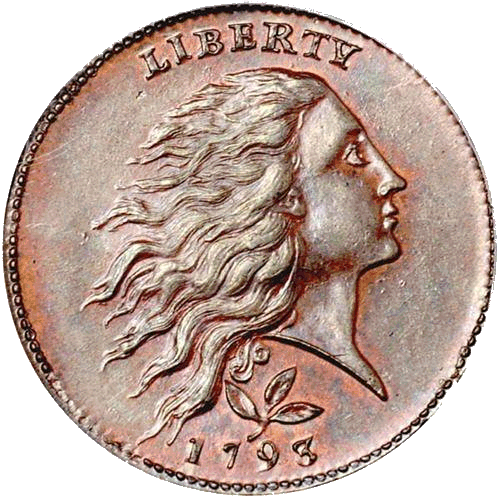 A newly-independent United States of America began minting its own currency that year, and this little one-cent copper coin was one of the first coins in production. In January of 2012 the penny sold at auction for $1.38 million dollars. Now that's a penny worth looking out for. What's the most precious coin in your collection (sentimental value counts, too!)? Please share in comments. The most precious in mine is a 2007 Platinum Eagle. I hope one day platinum coins become as rare as gold ones~!